Next year, Canada will host its sixth Group of Seven (G7) summit, to be held on the banks of the St. Lawrence River in the Charlevoix region of Quebec. 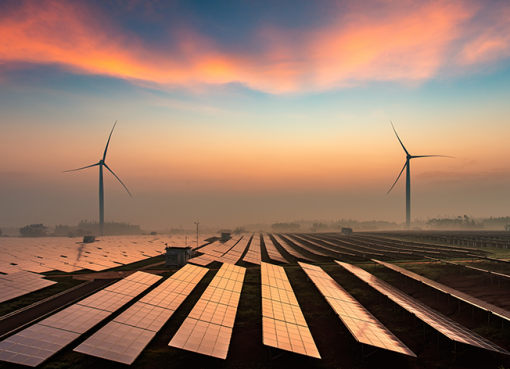 From June 8 to 9, the leaders of the world’s most advanced economies — the United States, the United Kingdom, Germany, France, Italy, Japan and Canada, in addition to representatives from the European Union — will meet as they do every year to discuss and attempt to build consensus around today’s most challenging global issues. Despite the hefty price tags, the annual summits are valued by prime ministers and presidents as an opportunity for frank and open discussion behind closed doors. While Canada technically assumes its year-long presidency on January 1, 2018 — from Italy, last year’s chair — the Trudeau government is already in full-on planning mode, and has secured agreement from other G7 countries on an agenda that will feature four broad areas of focus: investing in inclusive growth, advancing gender equality, addressing climate change and strengthening peace and security. The man at the helm of Canada’s strategy is Peter Boehm, deputy minister for the G7 summit (formerly Canada’s ambassador to Germany and a career foreign service officer). As Justin Trudeau’s personal representative — or his “sherpa” — Boehm reports directly to the prime minister, and is in regular contact with his other G7 counterparts. 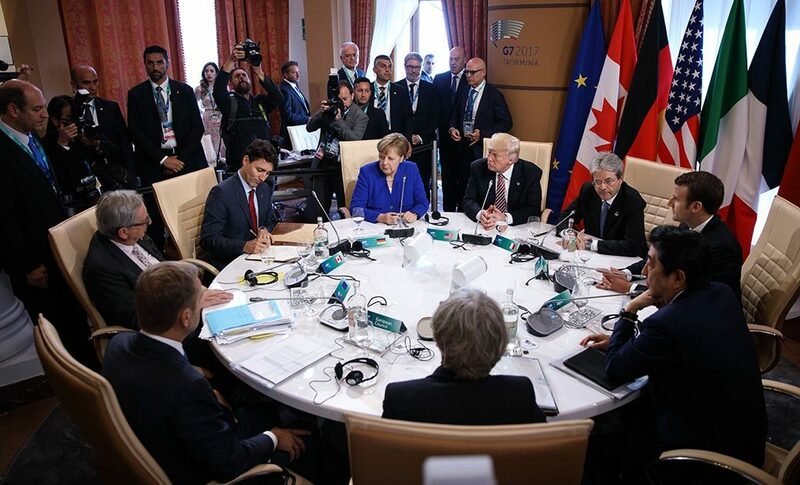 the real question hanging in the air is this: How can Canada ensure its G7 goals are achieved, when so many of those goals are at odds with views expressed by US President Donald Trump? 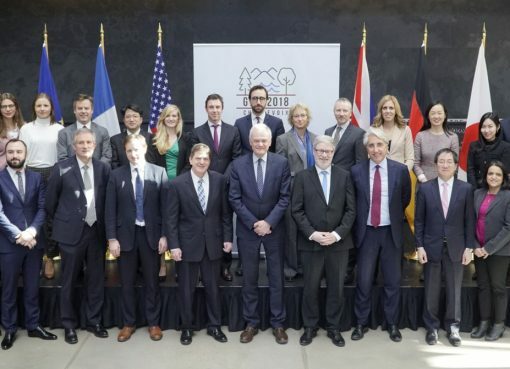 During the Q&A portion of the December 7 event, Hélène Emorine, co-chair of the G20 Research Group at the University of Toronto, asked Boehm how he intended to ensure that, on climate change, a unified G7, rather than a “G6+1,” emerged next year at Charlevoix. “I don’t think, to be very candid, if I can with this group, that isolating one member on one issue necessarily works,” Boehm said, adding that in his view, there needs to be recognition that the subject of climate change can extend beyond the Paris Agreement to discussion on oceans, the biosphere, challenges facing coastal communities, and resilience and infrastructure issues.